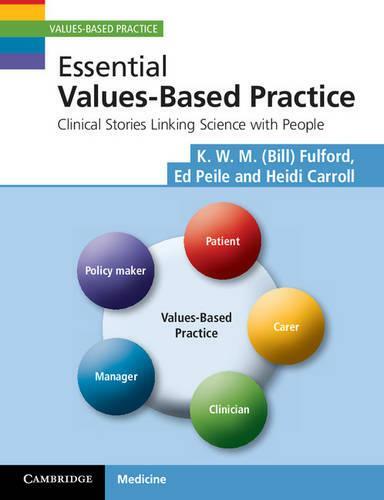 This book will help clinicians acquire and develop the processes and skills of values-based practice. The aim of most patient-clinician consultations is to improve health outcomes. Often they succeed, and patients are satisfied and empowered. However, some consultations are unsatisfactory and result in failure to improve health outcomes and dissatisfaction on the part of patients, carers or clinicians. When consultations fail to achieve the desired results, the cause is not usually a failure of evidence-based practice. Today's clinicians are trained in evidence-based medicine, educated, updated and appraised. The most likely reason why things go wrong is a failure of values-based practice - not ascertaining the relevant values perspectives and acting on them in a coherent and purposeful manner. If you rehearse and practise the elements of values-based practice detailed in this book, you will find your consultations more personally rewarding and your patients are likely to derive more benefit.